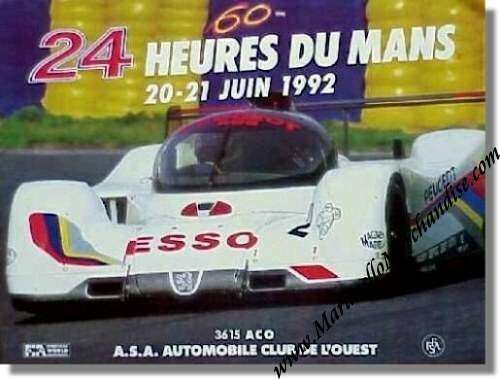 1992 24 Heures du Mans Race Poster. June 20 & 21, 1992. The race was won by Derek Warwick, Yannick Dalmas and Mark Blundell in their # 1 Peugeot 905B Evo 1 bis LM with a total of 352 laps to their name. For the full results of this race, please see 24 Heures du Mans results 1992.